The year is 1888; Copper is a young widow with a baby trying to make a go of the ramshackle farm she received from her father in Troublesome Creek. Copper's life seems as dilapidated as the farm as she struggles to come to terms with her shattered world. Desperate to rekindle the easy faith she had as a child, she searches for peace and God's direction in the serenity of tThe year is 1888; Copper is a young widow with a baby trying to make a go of the ramshackle farm she received from her father in Troublesome Creek. Copper's life seems as dilapidated as the farm as she struggles to come to terms with her shattered world. Desperate to rekindle the easy faith she had as a child, she searches for peace and God's direction in the serenity of the Kentucky mountains. Further complicating her life is a budding romance with John Pelfrey, Copper's long ago sweetheart. Once sure she could never love again, Copper gives her heart to John only to face betrayal. A skilled midwife, Copper is challenged in many ways as she ministers to the women of eastern Kentucky. Always a believer, Copper still has much to learn as she grows in wisdom and in faith. Last in the series. I liked the ending but I didn't. I like happy endings, but she's a little abrupt with it. I felt like, "Sheesh lady, I just read your three-book series and that's all you can give me at the end." Bk.3, I cried, I smiled, and I laughed with this book, and the other 2 preceding this one. On to the next book, I can't wait to see what happens! Good clean christian historical novelI loved this book about Coppers continued life on the mountain and the big city. This is such a wonderful series the characters were so easy to relate to. I recommend this author and this book. The widowed Copper moves from Lexington back to her father's farm on Troublesome Creek. Friendships are renewed and new one's form as she overcomes the difficulties of raising a two-year-old daughter and takes care of the farm now under her care. 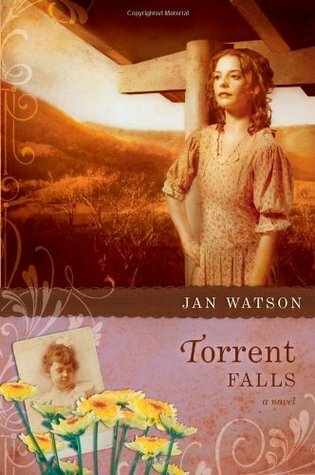 A romance is eventually rekindled, but an obstacle must be overcome before the couple can move forward.Jan Watson's excellent attention to detail and sensory description bring life to this 1880's setting in Appalachia. Finished this one pretty quick, it was so good, I really like the story about Copper (Laura Grace) She is a wonderful woman so giving and caring of people. I am so happy that she is back in the mtns in this book and finding new friends and re-learning about "John" a young man that wanted to marry her when she just wanted to be friends now they are finally getting on the same wave length -so to speak. you will love this series. Jan is a good writer from Ky. This was the third installment of Troublesome Creek; and while it was not my favorite it was a nice little read. This particular book might of got bogged down with the Remy Riddle drama and that was actually my least favorite part of this whole series. Jan Watson is an excellent storyteller though; chocked full of mountain descriptions that will make you feel like you are right there hanging on the side of the mountain. I would highly recommend reading the Troublesome Creek series in order. This series was ok was something to read, and I found it interesting, but I'm not jumping up and down to recommend them to anyone. Although, they are written around the Christian faith, so there are very good lessons, morals, and scriptures mentioned, which was interesting and very uplifting. I enjoyed this book very much!! It was a wonderful conclusion to the series, however, I thought it ended rather abruptly. I would have liked to see a wedding scene between Copper and John and maybe a flash forward to them having children to join Lilly Gray. All in all, I think this is one of my favorite series and I hope to see more from Jan Watson. This book answers the question of what happened to Copper Corbett after Willow Springs. As with all of this series, it's a real page-turner; life as you know it will come to a standstill because you won't be able to stop reading it! An unneccessary third installment that could have been written in one chapter instead of 42.I really enjoyed the first book, and the second was fairly interesting, but this one was just long and drawn out - it took way too long to get through it. This is the 3rd book in this series, set in Kentucky in the 1880's. If it's as good as the first two, I know I'll enjoy it. This author not only tells great stories, but her descriptions of daily life and activities remind me of stories my folks told. Great completion of the story of Copper. Always waitingTwist and turns for Cooper and John through life situations. But true love has to be tried and tested in th end. I enjoyed this last of the series as much as I did the first book. Watson creates wonderful down to earth characters who I enjoy relating to and reading about. Great love story. I love how it played out! wonderful! all my favorite characters! Christian fiction that is a series--light summer reading that is cozy and good natured.